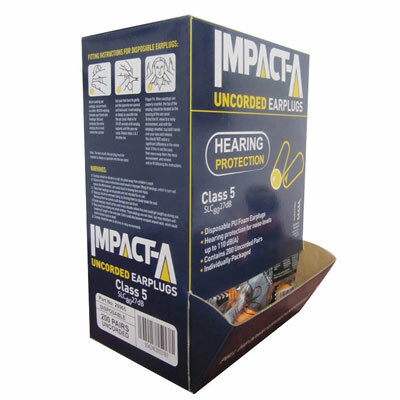 Made from soft PU foam, the Impact-A disposable earplugs can be moulded to fit any type of ear canal to ensure a nice snug comfortable fit for the user, while providing them with a noise barrier up to 27dB rating. The bulk box of 200 is used in areas where a large number of plugs are used on a regular basis. The dispensing pack allows ease of access for the consumer and each pack is individually wrapped for hygienic purposes and to stop any contamination occurring.